Benchtop ultrasonic cleaning tanks provide a cost effective way to introduce the power of ultrasonics into any parts washing process. 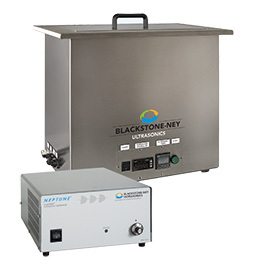 These portable and self-contained ultrasonic cleaning tanks are equipped with electric heat and operate from readily available electrical supplies. They are offered in a variety of standard sizes that range from 2 gallons to 58 gallons and can be engineered for custom applications as well. They offer flexibility in all types of parts cleaning processes including those requiring Class 1, Div. Group D solvents. Many of the ultrasonic PROHT cleaning tanks may be configured to include; filtration, surface sparging, oil skimming, timed controls, agitation and other optional features. 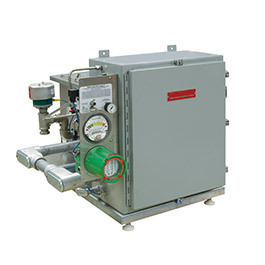 Companion parts washer units including rinsing and rinse tank drying modules are also available.